I can create custom character for you using lineart. It can be like Logan from X-men or anything else you'd like. Being artist is my dream career since I was a kid and I achieved this career when I am hired as an Clean-Up artist in one of the famous Animation Studio here in Philippines, from then I'm become part of different company related in my skill until now as Graphic Artist / Illustrator here in publishing company. Digital Art is the only one I am using right now so i can say it's my favorite. For me all of the tools needed by artist can be achived in digital art by using different graphic softwares, Photoshop is my favorite. 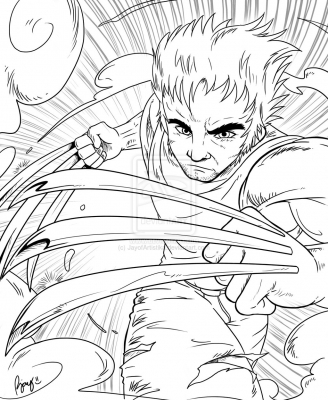 My favorite subjects to create art are Superheroes, Cartoons and Anime.